The Come Up Show was founded on April 19, 2007. It originally started as a radio show on Western University’s 94.9 CHRW in London, Ontario (still going strong each every Saturday 6-8pm ET). Due to the show’s popularity, it transformed into a multimedia website. The Come Up Show is dedicated to showcasing the latest and greatest in Canadian Hip Hop and R&B. We support up and coming artists in various forms. The Come Up Show’s purpose is to provide a platform for Canadian artists, especially up and coming artists. We feel there aren’t enough media websites championing the talent that our country has to offer. That’s why we have interviewed over 500 artists. We feature them on our YouTube channel, Podcast and Website. Some of the artists we’ve helped champion are SonReal, Shad, K.Forest, Adria Kain and much more. 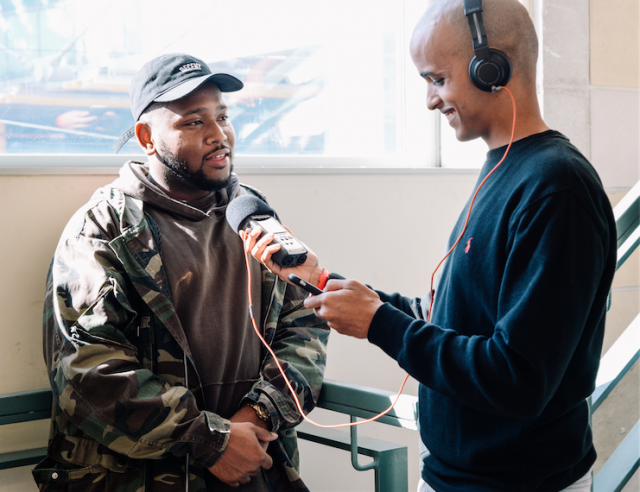 The Come Up Show Podcast is not only meant to share artist’s stories and their journey but it’s also a resource for other musicians. We talk about the successes, failures, and learnings artists can pass on to their peers through our Podcast. We also published our first book Stop Playing By Their Rules: An Artist Guide On How To Market To Fans. We took all our learnings from interviewing hundreds of artists, several years of running a music website and put it into a book to teach artists on how to market themselves, build a fan base and reach out to other journalists. The Come Up Show works regularly with concert promoters such as Live Nation, MRG Concerts and many independent promoters to let music fans know of events happening in Toronto and Southwestern Ontario. We do this through our event listings on our Website, Email Newsletter, Podcast and Social Media. We feel music is best experienced live and we want music fans to come out and check out how amazing Canadian talent is. We also produce our own anniversary concert once a year where we celebrate and showcase Canadian talent. The Come Up Show would be nothing without our contributors, volunteers, and interns. We have had over 100 contributors and still counting. We teach students who want to get into the music industry on how to write music reviews, conduct interviews, cover concerts and use content management systems such as WordPress. We’ve taught our interns in the areas of social media, marketing, photography, podcasting, writing, events management, and journalism. We have helped students achieve their academic practicum hours. Our interns have secured jobs with companies like Vice, National Geographic, The Move 93.5 and other music-related jobs.